You can’t say this kid isn’t goal-oriented and organized! I think this just proves that girls are smarter than boys! She is not shy about her No’s. I bet that poor kid didn’t think she could answer any other way. 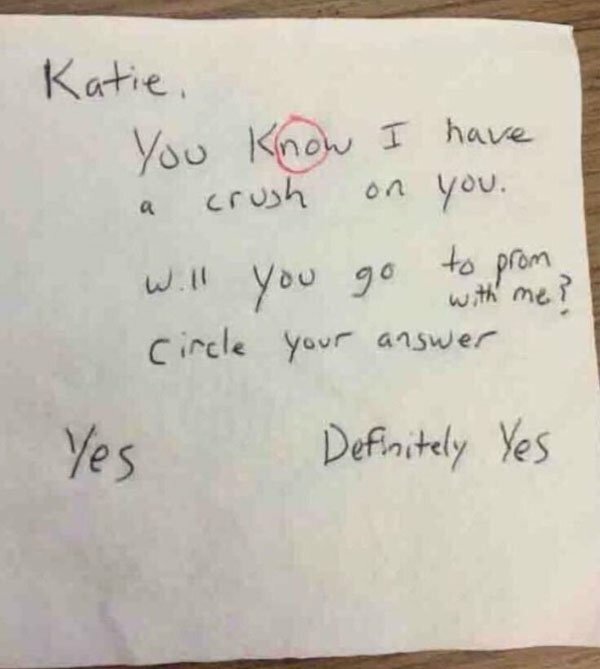 She was thinking outside the circle! Is this post as funny as [yes] terday’s? The Prof. in you, is always asking questions!